"Using existing rocket fuels, it's nearly impossible for humans to explore much beyond Earth," said lead researcher John Slough, professor of aeronautics and astronautics. "We are hoping to give us a much more powerful source of energy in space that could eventually lead to making interplanetary travel commonplace," Slough said. Last month at a symposium, Slough and his team presented their mission analysis for a trip to Mars, along with detailed computer modelling and initial experimental results. 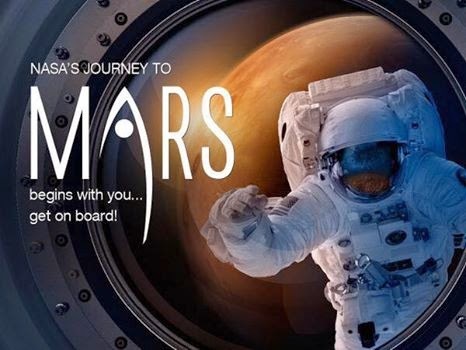 NASA estimates a round-trip human expedition to Mars would take more than four years using current technology. The sheer amount of chemical rocket fuel needed in space would be extremely expensive - the launch costs alone would be more than USD 12 billion. Slough and his team have published papers calculating the potential for 30- and 90-day expeditions to Mars using a rocket powered by fusion, which would make the trip more practical and less costly. They have demonstrated successful lab tests of all portions of the process. Now, the key will be combining each isolated test into a final experiment that produces fusion using this technology, Slough said in a university statement. The research team has developed a type of plasma that is encased in its own magnetic field. Nuclear fusion occurs when this plasma is compressed to high pressure with a magnetic field. The team has successfully tested this technique in lab. Only a small amount of fusion is needed to power a rocket - a small grain of sand of this material has the same energy content as 1 gallon of rocket fuel. To power a rocket, the team has devised a system in which a powerful magnetic field causes large metal rings to implode around this plasma, compressing it to a fusion state. The converging rings merge to form a shell that ignites the fusion, but only for a few microseconds. Even though the compression time is very short, enough energy is released from the fusion reactions to quickly heat and ionise the shell. This super-heated, ionised metal is ejected out of the rocket nozzle at a high velocity. This process is repeated every minute or so, propelling the spacecraft. "I think everybody was pleased to see confirmation of the principal mechanism that we're using to compress the plasma," Slough said.